Virtual Reality is still getting going. It's not like a new console, in that developers can apply much the same learning as they had to existing games. Building a game for VR requires different thinking to game design, and, a little like the original Nintendo Entertainment System, or the first era of 3D games in the original PlayStation, this is going to take a while for developers to wrap their minds around. With that being said, we're already seeing genuinely excellent VR games being released, and the PlayStation VR is a device that we highly recommend to everyone; it's already offering completely different kinds of experiences. What's most exciting for us is that VR is proving to be especially popular in Asia - Japan and China in particular - and as the technology grows yet further, we're very excited for VR indeed. For now, these are ten excellent games that really show off the promise of VR for providing exciting, immersive experiences. On the one hand, pinball is a remarkably simple game, and when you're wearing $500 goggles you'd have to wonder why you had invested in the elaborate set up to flick a ball around a table. On the other hand, actually standing at a pinball table is a wonderful experience, and something a flat screen can't recreate. Pinball FX 2 puts you right there, in front of a gorgeous pinball table, and lets you focus entirely on the action in front of you. I have better scores in Pinball FX 2 than the equivalent tables in Zen Pinball 2. I believe the better perception of depth that I get from VR is the reason for that. Yea, this is not technically a "game." 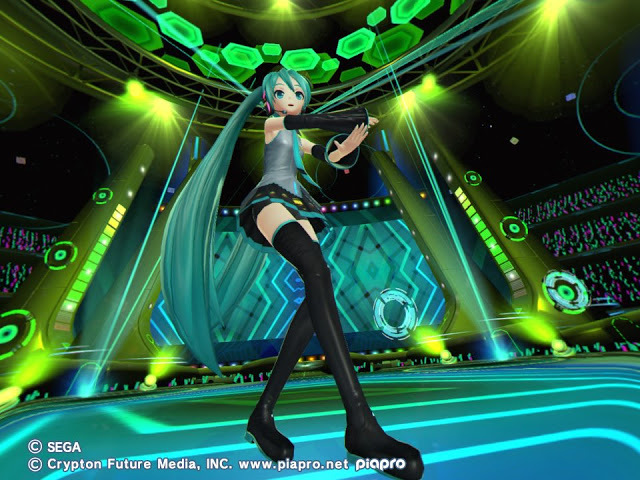 You're simply watching a concert when you "play" Miku VR, but here's the thing; this "game" lets you get up on stage with Hatsune Miku, and as an experience, that has got to be the most wonderful thing I've done with VR to date. 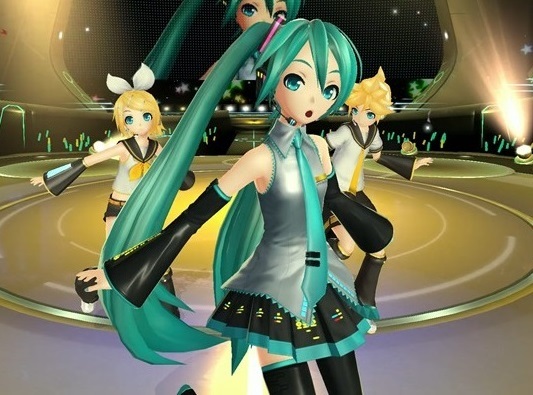 I've been to Hatsune Miku concerts in real life, but this takes things one step closer; here, she's just centimetres in front of me. Best seat in the house. Ninja Theory has Hellblade coming out next week, and it's surely going to be a superb game. The Ninja Theory game that will be quickly forgotten, even though it's also absolutely superb, is Dexed; a VR rails shooter that has the most incredible art in any VR game to date. It's mesmerising how beautiful and immersive this game really is, and though there's some challenging shooter mechanics running under the surface, this one's almost better for zen mode, which lets you remove the enemies and simply relax in the game's serene environments. 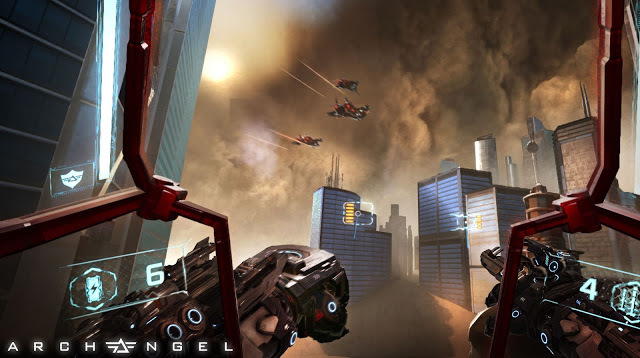 Another rails shooter (unsurprisingly, VR is good at them), Archangel sets itself apart through, firstly, its incredible, immersive production values, and secondly for being a rails shooter with a decent narrative. Archangel's story of civil war and giant robots manages to combine Pacific Rim with useful real-world commentary, and it's really good to see developers starting to work out how to build worthwhile narratives into their VR titles. In terms of pure wish fulfillment, it's hard to look past Star Trek Bridge Crew. We've all sat there watching an episode of Star Trek and imagining what it must have been like to be one of the crew members - or the captain him or herself - and this game does a remarkable job of enabling just that experience. You won't be beaming down to the surface of planets to really get the Star Trek experience, just yet, but all the drama of what happens on the bridge of the ships themselves is depicted just perfectly. 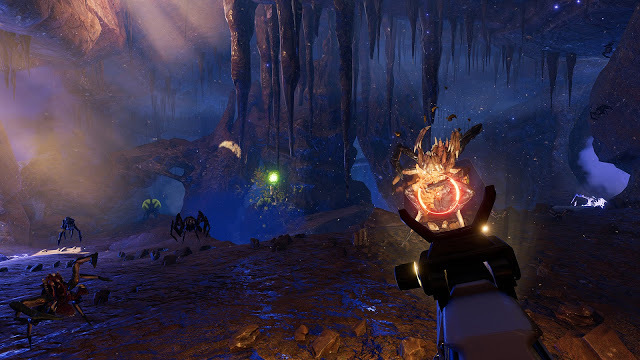 The first attempt to bring "AAA" values to VR, Farpoint is a space-themed action shooter game, which came with its own peripheral that made you feel like you were actually carrying a gun. 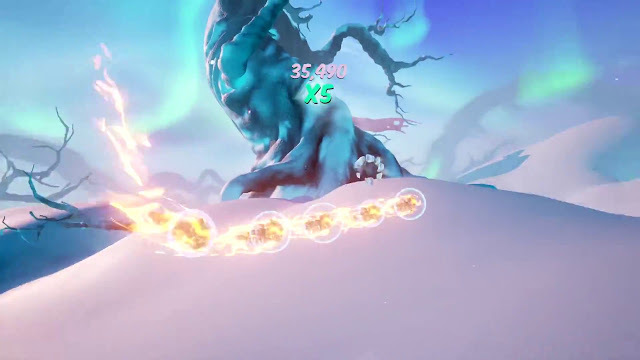 As enemies start to swarm all around you, simple mechanics like needing to physically lift your "gun" to swap weapons, and engage secondary fire modes by physically pressing buttons on the side of the device have an intensity well beyond what standard shooters can offer. Farpoint's storytelling wasn't brilliant, but it was at least functional, and it was all just too much fun to put down anyway. Yes, this is just a demo, but what a demo it is. It places players right in the thick of one of the famous 'class trials' from the Danganronpa series, and that is just plain awesome. Being able to directly interact with the other characters, and having the cute-but-sinister Monokuma watching over you all is a vivid, exciting, and wildly entertaining experience. 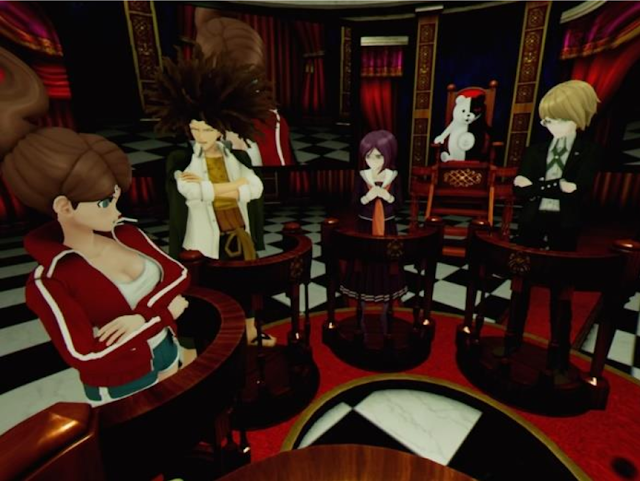 I can't wait for a "proper" Danganronpa game to land in VR, because playing detective is going to be that much more rewarding when you feel like a participant, rather than just an observer. 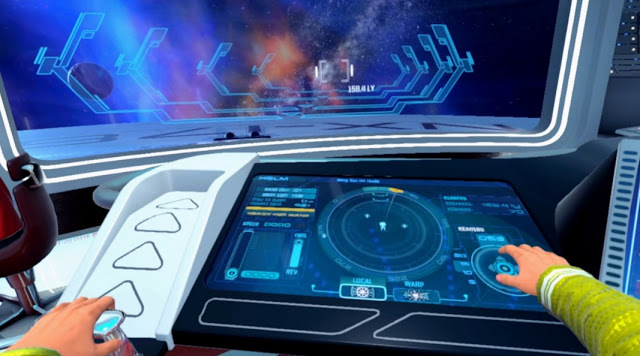 Ubisoft really has been doing great things with VR; Star Trek was a masterpiece, and Eagle Flight, from early on, was the first game that really sold VR to me. Here was a game where you played as an eagle, doing nothing more than ducking in and out of buildings and flying through sequences of rings as fast and cleanly as you good. And yet, thanks to the power of VR, I would actually feel the motion as dived down out of the sky, and I would actually flinch each time my eagle hit a wall, went splat, and needed to restart a level. Other games would make you motion sick from this kind of movement, but Eagle Flight didn't. It was beautiful, immersive, and really gave the whole body the sensation of flight. Horror is another natural fit for VR. By putting players directly into the world, the impact of what's going on around them can be that much more intense, and therefore, the horror can be deepened. 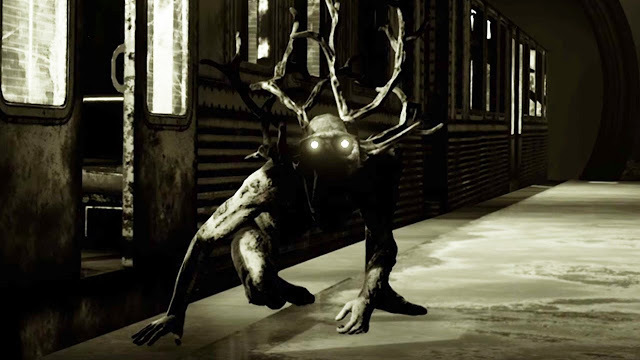 Here The Lie is a very artful horror game, with a vivid art style that calls to mind classic cinema, and some extremely disturbing - but effective - imagery throughout. 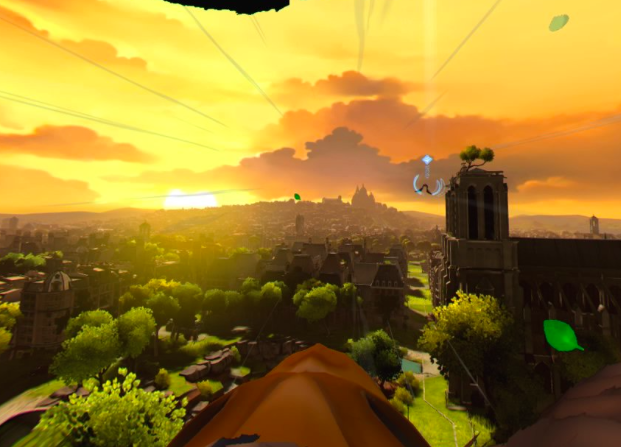 It's not the perfect VR game; being a launch title for PlayStation VR it has a control system that we hope we'll never see again, but it's memorable in a way that few other games could ever hope to achieve. Yeah look, it's a game where you help a schoolgirl study, and for that reason it's not a game that will ever be released in western markets (you can, however, buy a version in English through Asian markets like Hong Kong). 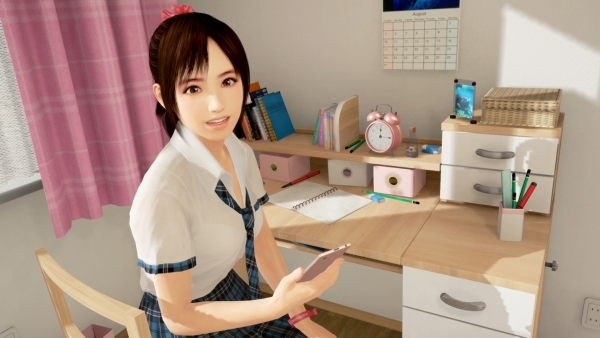 Summer Lesson, however, is the first in what we expect will be a staple for VR in Japan and Asia - relationship simulators. As wonderful as Love Plus and various other games of its ilk have been, there has always been that technology wall between player and character. Summer Lesson shows us that VR can actually break that wall down, and while it's not for everyone, this is actually quite an incredible step forward for its particular genre.